Norwood Massachusetts is a suburb located southwest of Boston, with a population of just over 28,000 people. Bordered by Dedham, Canton and Walpole, Norwood has easy access to Routes 95 and 128, making it a short commuting distance by car to Boston, Providence or the Waltham area. There are also a couple of MBTA commuter rail stations located in Norwood that have trains that run into Boston, making it a convenient for residents to commute in to Boston by train. 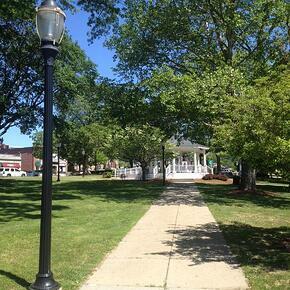 Norwood is governed by a Board of Selectmen, with day-to-day operations being handled by a general manager. It has a representative form of Town Meeting, which is the legislative body for the town. First settled in the late 1600’s, Norwood was originally part of Dedham, but split off into its own town in the early 1870’s. Much like most of the towns in the area, Norwood played a role in the American Revolution, with a company of Minutemen who were organized in town.